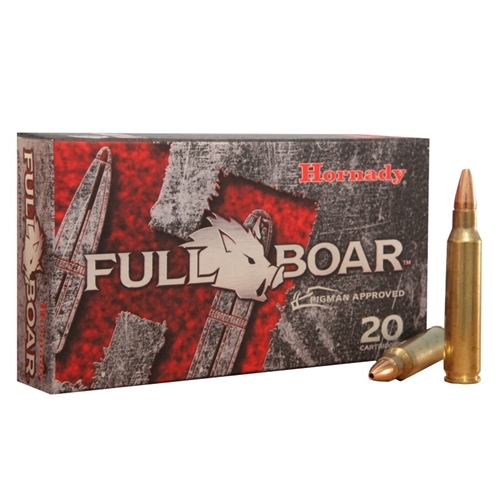 Hornady Full Boar 223 Remington Ammo 50 Grain Gliding Metal Expanding ammo for sale online at cheap discount prices with free shipping available on bulk 223 Remington ammunition only at our online store TargetSportsUSA.com. Target Sports USA carries the entire line of Hornady Critical Duty LE ammunition for sale online with free shipping on bulk ammo including this Hornady Full Boar 223 Remington Ammo 50 Grain Gliding Metal Expanding. Hornady Full Boar 223 Remington Ammo 50 Grain Gliding Metal Expanding ammo review offers the following information; Loaded with premium components, Full Boar ammunition is available in a variety of popular calibers, from 223 Remington to 300 Winchester Magnum. The Full Boar line is designed to work flawlessly in all guns, which includes AR's and other semi-automatics. Hornady Full Boar 223 Remington ammo was developed with a hard hitting 50 grain Gliding Metal Expanding (GMX) bullet for deep penetration and maximum weight retention. The GMX bullet was made in order to provide a devastating terminal performance across a wide range of velocities. These monolithic copper-alloy bullets deliver 95+% weight retention and uniform, controlled expansion for unmatched terminal performance. The copper alloy design and double cannelures on this GMX bullet reduces both bearing surface and fouling. This GMX bullet features a streamlined design for ultra-flat trajectories. 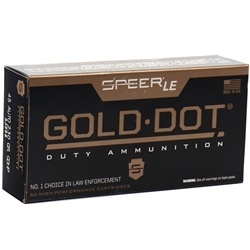 The GMX bullet is California compatible and approved for other areas that require the use of non-traditional bullets. This Hornady Full Boar 308 Winchester ammunition is proudly made in the United States! Hornady Full Boar 223 Remington is non-corrosive, new production ammunition in boxer primer and reloadable brass cases. Hornady 223 Remington ammo is packaged in boxes of 20 rounds or cases of 200 rounds. Order a case of Hornady Full Boar 223 Remington bulk ammo from Target Sports USA and receive free shipping! Coyotes hate them, and killed my best BUCK in FLORIDA with a neck shot at 205 yards while on a coyote hunt.